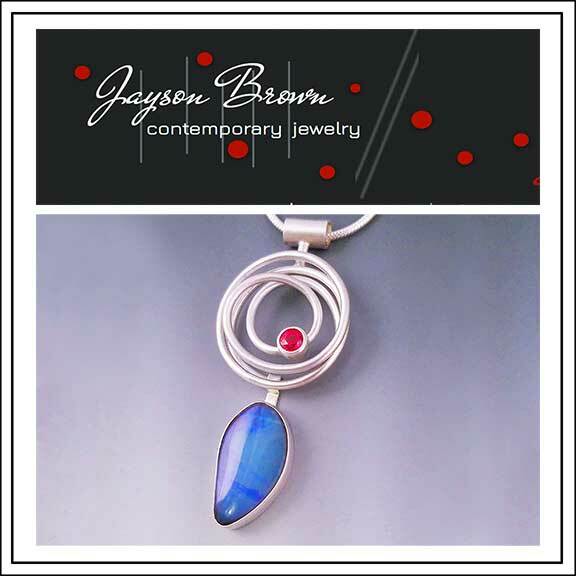 Brown's contemporary jewelry designs are sculptural and functional works of art. Combining inspirations from nature and architecture, each of Brown's creations is an artistic masterpiece. My jewelry designs reflect my life as a dancer, it is an intrinsic part of my being. This passion translates into my work as a jewelry artist through a more passive exploration of design and form. With a focus on line, shape and texture, ideas evolve and unfold throughout the creative process. My inclination toward exploration and experimentation keeps my approach fresh. With subtle color and bold design, each piece makes a statement and suits a mood. 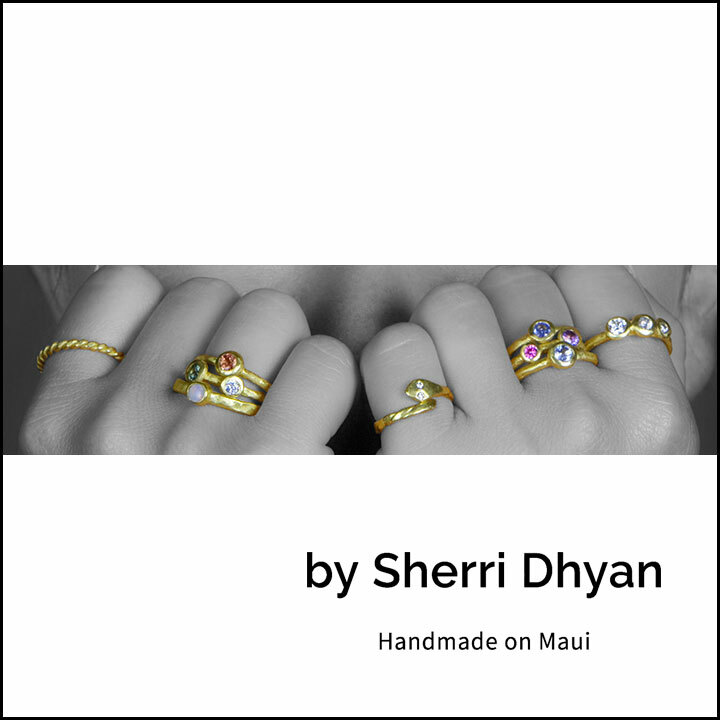 Sherri Dhyan, the owner and main goldsmith of Studio 22k, was educated at Parsons School of Design in New York City. She opened Studio 22K in Paia in March of 2012. Studio 22k’s purpose was and continues to be a working studio and gallery where the entire process of ancient jewelry can be observed and purchased. Studio 22k is a gallery dedicated to the creation of high karat gold jewelry and is a showcase for Sherri’s work as well as that of other master goldsmiths. The work of KenSu Jewelry illuminates the human connection to one’s mythological and cosmological sense of being. Each piece is designed to open channels that allow us to explore the possibilities within the universe and how the connection we have between the earth and the stars influence us every day. Those who wear KenSu Jewelry seek to discover and expand the inner self by developing a new sense of awareness of the greater presence. Conceived in 2007, KenSu is the creation of the dynamic partnership between Kendra Jahn and Suheiwa Vassallo. Having lived and traveled together since 2000, Kendra and Suheiwa are continuously inspired to create their designs from their exposure to the colors, visions, culture and nature of the places that have shaped them. 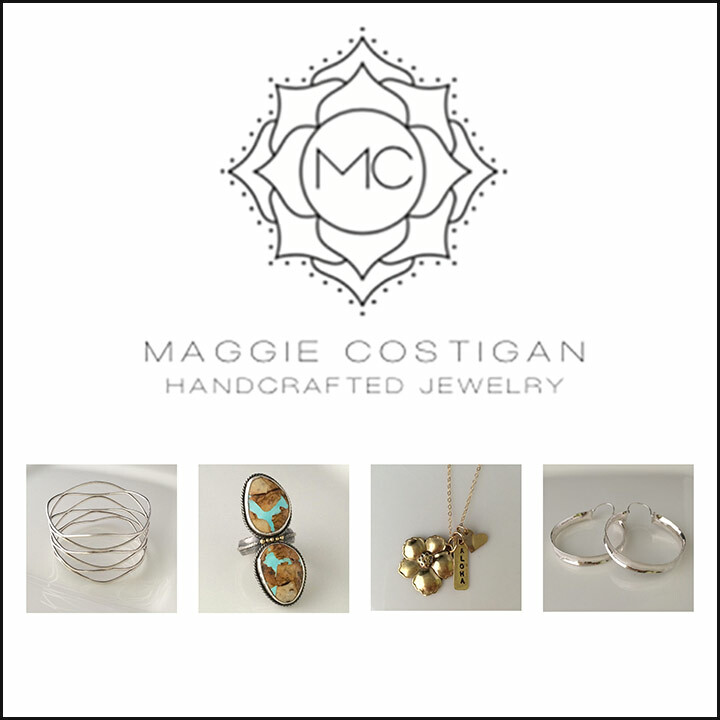 Unique, contemporary designer jewelry in 18k gold and platinum, hand made with precision and care. 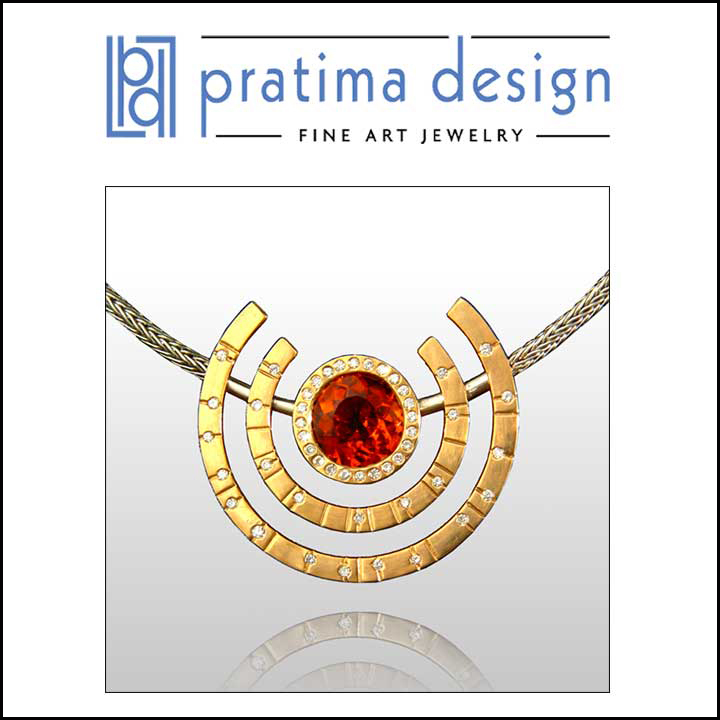 The contemporary jewelry collection by Pratima Design combines the artists' love of simplicity and detail with the synergy of precious metals and jewels. Each creation is an inspired fusion of elegance and alchemy, and is caringly handcrafted in the European tradition with reverence for detail and precision. Christina and Thomas have called Maui home since 1997, where they work from their Upcountry studio along the slopes of Haleakala. Please call us for private studio visits and consultations. For Maui artists Michael and Carol Schwarz, life is a magical adventure. This becomes obvious whether one gazes upon the harmonious, environmentally inspired pieces created by Carol, or the meticulously crafted masterpieces by Michael. Together the two have created their utopia on Maui's north shore. A jungle haven where the humbleness of their off-the-grid lifestyle contrasts against the extravagance of the world class jewelry produced there. Often times, Carol's work plays upon this dichotomy as she delights in combining the different elements of nature in her artful creations; such as earrings of diamonds, 18k gold, and beach pebbles, or a pendant of seashell, boulder opal and emerald. Varsha dedicates her bracelet designs to the intricate art of Nautical Braids, known more familiarly among sailors as 'Fancy Knotting'. During the 18th and 19th Centuries, sailors' exploration of rope-knotting resulted in a historic contribution of almost 1000 fancy knot designs. 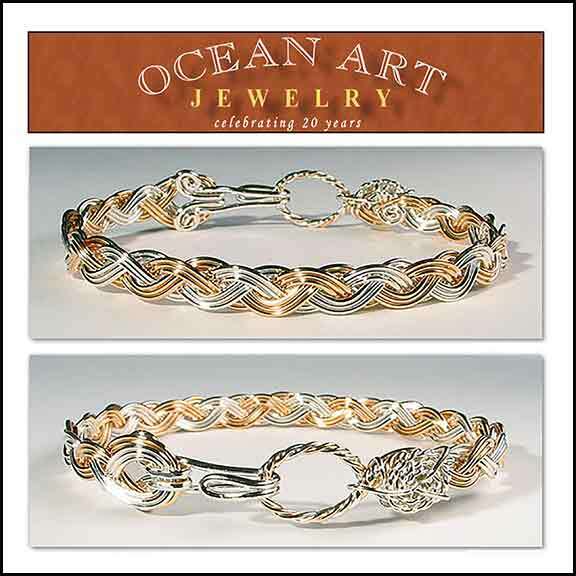 Each bracelet she creates is a documented and recognizable nautical design. In place of the traditionally used rope, Titus weaves precious metal wires, twisting some and leaving others smooth. The clasps are uniquely hand finished and no soldering techniques are used. Designer jewelry at its best! Precious and rare natural gemstones combine artistically with gold and silver for captivating inimitable style. Wearable for luxury, leisure, professional or special events. With fast growth and increasing demand since 2014, Yasha has been featured in many prominent Maui magazines such as "Wailea", “Menu,” “Maui No Ka Oi,” and “On Maui.” Her collection is carried in 7 galleries and she maintains an annual client list in the thousands. 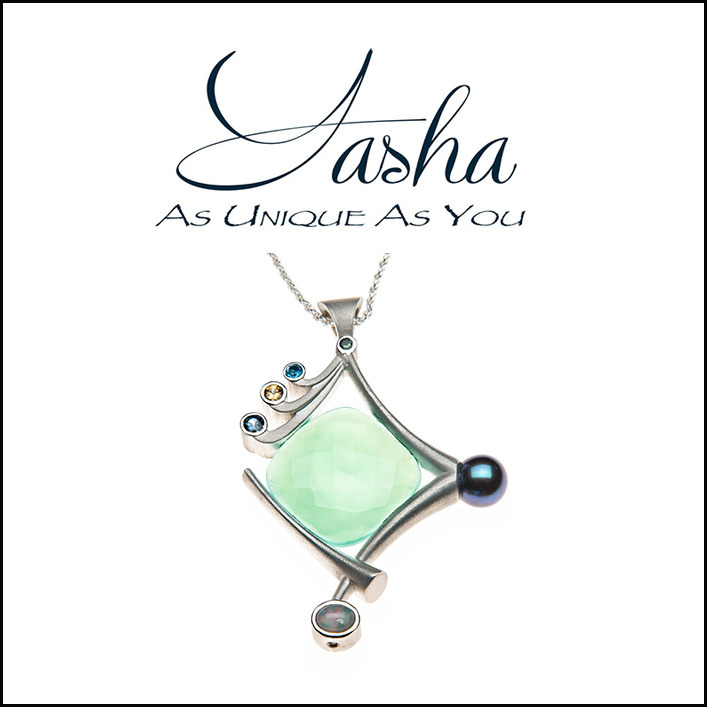 Yasha is up and coming designer jewelry on the cutting edge.